Dixie Diners’ Club Bakesquick Mix for Pancakes! 2 Pancakes for 1.6 carbs and 73 calories! 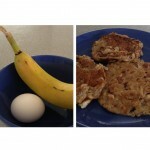 Carb Light Living™ Banana Almond French Toast – just 17.2 carbs for 2 pieces! Low Carb and SUGAR-FREE Coconut Cream Pie!